SOVEDA is a concoction of dirt, art and science all encompassed in a botanical retail lounge offering interior Plantscape Design, horticulture workshops, healing practitioner rooms and a canna-friendly event space, providing a finely curated collection of goods and practitioner offerings to the people of Portland while also celebrating the importance of individual health and community. 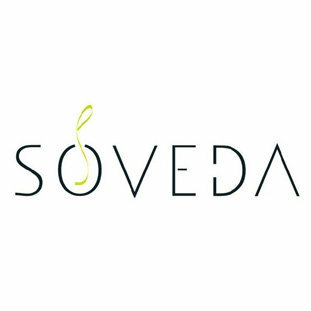 SOVEDA serves completely unique, branded products in the lounge retail space as well as brings people in full circle for health and wellness. Our Plantscape Design team seeks to deliver the best design services for dwellings and work spaces as well as horticulture guidance for hobbyists. We use a straightforward approach to botany combined with expertise of plants matched with a keen eye for design to create swanky/classy, clean spaces. SOVEDA will be a place to pick up a quick cup of tea or coffee or relax for a break on a laptop in a convenient and chill setting - “I’m on my lunch break, going to SOVEDA lounge for a snack and iced almond chai latte”. Or “Meet me at the SOVEDA lounge for a cup of tea after my massage”. It will be vibrant, cozy, fun, hospitable, and educational. SOVEDA provides an alternative destination to the heavy foodie and cocktail lounges found all over Portland, as well as filling a missing role in the healthy food and physical wellness category. In addition to the coffee, tea and Nectar Bar, the lounge space will also function as a retail floor with an apothecary wall, living specimen plants and textile luxuries.